In an effort to educate clients and customers about LED lighting as it continues to become a prominent force in the lighting industry, Internet retailer 1000Bulbs.com has released an educational document titled “Understanding LED Drivers.” Written in collaboration with and approved by experts in the field of lighting, this 1000Bulbs.com original document provides a detailed overview of LED driver technology. While many people are now familiar with LED lighting, they may not be aware that, in order for all LEDs to work, they require an internal or external LED driver. These drivers (also known as LED power supplies) function much like ballasts or transformers for fluorescent lamps and low-voltage light bulbs. While LEDs are designed to run on low-voltage, direct current electricity of 12 to 24 volts, most residential and commercial establishments supply alternating current electricity with higher voltages of 120 to 277 volts. LED drivers perform the crucial task of converting voltages so that the bulb or fixture is compatible with existing electrical wiring. Most household LED bulbs with screw-in or plug-in bases have internal drivers for ease of installation and require no additional drivers. However, LED fixtures, such as recessed downlights, tape light, and outdoor-rated lights, typically require external drivers. 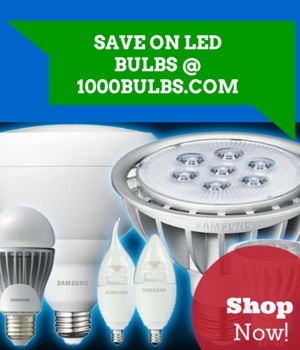 1000Bulbs.com carries a wide variety of external drivers including constant current, constant voltage, AC and emergency LED drivers for voltage outputs ranging from 2 to 86 volts. In “Understanding LED Drivers,” readers can find more in-depth information about LED driver technology, including an explanation of internal and external drivers, tips for choosing drivers, when to replace them and much more. Now available to the public, this informational document can be found in PDF format in the LED Drivers section of the 1000Bulbs.com website.